A serial armed robber has been apprehended over various criminal activities in Bonny Island area of Rivers state. According to reports, the suspect who is popularly know by his nickname 'Oboy' - was caught with stolen items at Abalamabie road by a security officer. 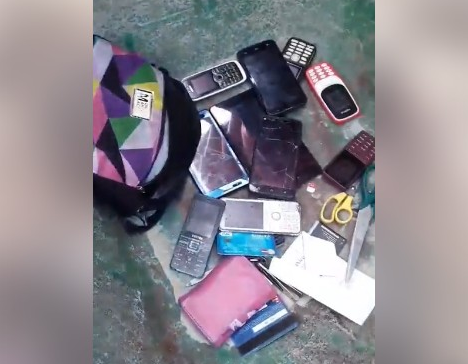 Various items including phones, ATM cards and an I.D card belonging to a female member of the National Youth Service Corps (NYSC), were found in his possession. 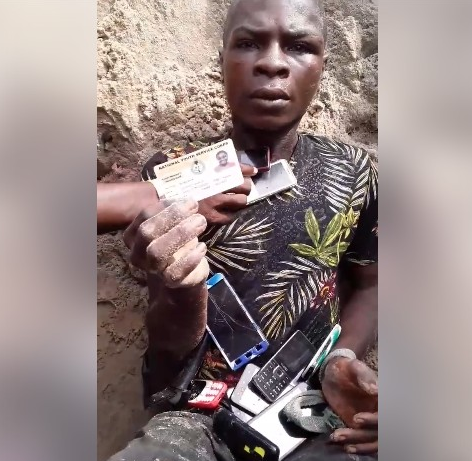 It is said that the suspect has been arrested countless times over robbery and other criminal activities. He was just released from prison less than a month ago where he served a sentence for stealing. The serial robber has been handed over to the police for further action, which could land him in prison.